They said it would be a great event…. Well – one out of four isn’t bad is it? 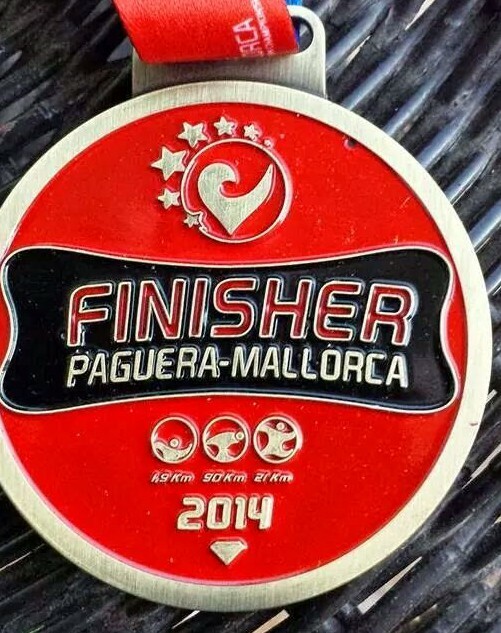 I rounded off the season with the European Middle Distance Champs in Paguera, Mallorca. 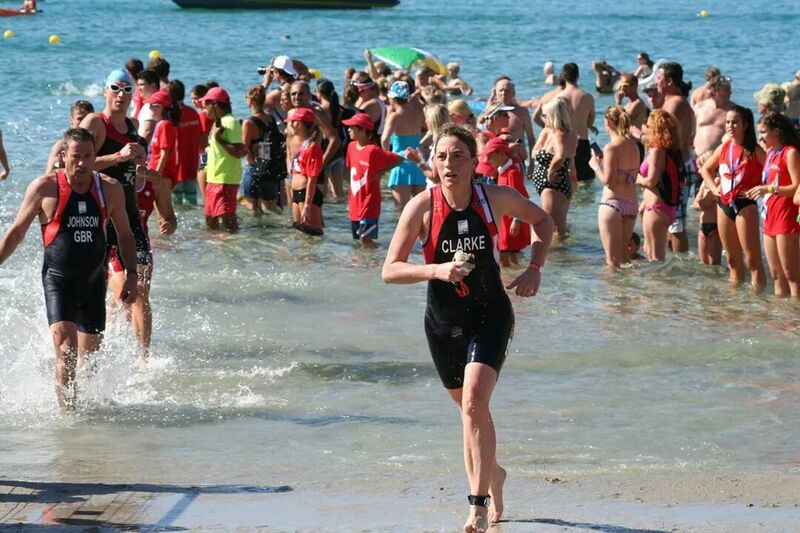 This was my second GB Age-Group outing of the year and my final A race of the season, after Outlaw Half and the Worlds in Edmonton and as you can imagine I arrived in Mallorca a little jaded. It had been a long old season and I kind of just wanted to get it over and done with. But once we had arrived and bumped into fellow teammates I started to get the vibe back. The team bike reccy, that I nearly missed and had to cane the first five miles to catch up with the team, the swim reccy straight after into 5ft waves, the team briefing that left us all with a lump in our throat -‘ you’re GB, be proud’, and the obligatory team photo – all 230 of us, got me fired up and ready to race! Racking had to be done the night before into a 300m long transition – I was really worried about finding my bike – just three rows of bikes, but with 250m plus of racking length, it was easy to miss your spot. Transition was also narrow – pretty much single file, especially with a bike in tow. We also had to use bags to hold bike and run gear – something I’d never had to do before. Normally you have the luxury of laying all your kit out making it easy to spot if anything was missing – this time, you had to leave it all in the bags and hope you had everything. Race morning was strange – with a midday start, there was no need for an alarm, although I woke up early anyway. With several hours to kill before transition opened we hung around the hotel chilling, making sure my food was all sorted and that I kept hydrated as there were predictions (depending upon the weather app) of 29-30 degree highs later that day. I felt quite confident about the swim. With a 400m PB in the pool the previous week, I felt good and knew I could probably get away with starting at the front. I normally start on the far side out of the way but because the spectators were lining the route into the water it was quite narrow and I was worried I might get caught up among them so I came in a bit – big mistake – I was quick into the water, but took my dive a tad too early and had to come up for another one. I got caught on the side of my goggles which swung out and smacked back onto my face. They only stayed on because by some strange quirk of fate I had decided for the first time ever to wear a hat over my goggles. Unfortunately this meant the goggles hit my face with such great force I was gifted a black eye as a result! Non contact sport it is you know! Anyway, once I’d recovered from that I settled into the swim. It was my first ever sea swim and my first without a wetsuit and rather surprisingly I really enjoyed it – I don’t like swimming in a wetsuit and this was heaven – warm and wetsuit free. I found myself swimming the first 400m or so with Jenny Bosman, winner of Outlaw 2014 (names on trisuits are a great invention!) and was quite honoured to be in such good company, but still feeling good, I decided to push on and find some feet further up. I drafted a Swiss girl to the top buoys until we turned then decided I still had some more in me and pushed on again. We had started to pick up the men from the previous wave, who had red caps, the same as the marker buoys. I fear I may have done some zig zagging as a result of mistaking the odd head for a buoy- with the swell sighting was a split second opportunity. In the end I gave up looking for the buoys and went for the big hotel next to the exit beach. I realised at this point most of the other swimmers were way over from the line I was taking – not sure who had the best line, but to try to save some energy I made my way across to them. 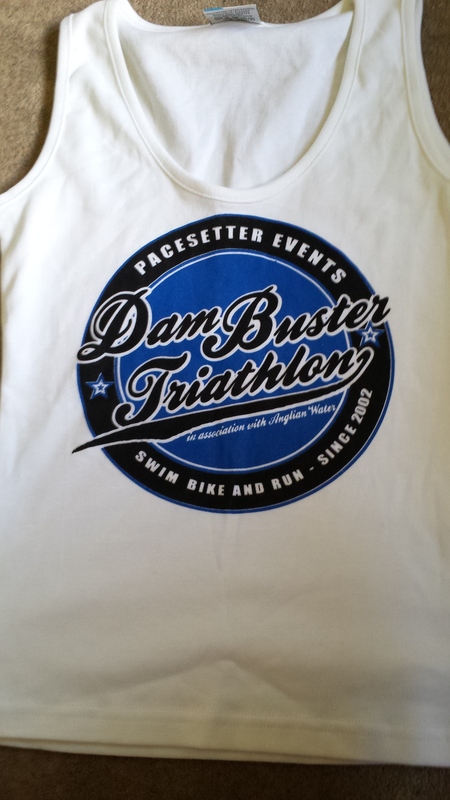 I came out the water a smidge over 34 minutes – 2 minutes slower than Outlaw half, but with the distances nearer 2km and it being a non wetsuit swim – I was pleased and about 8th in my age group. 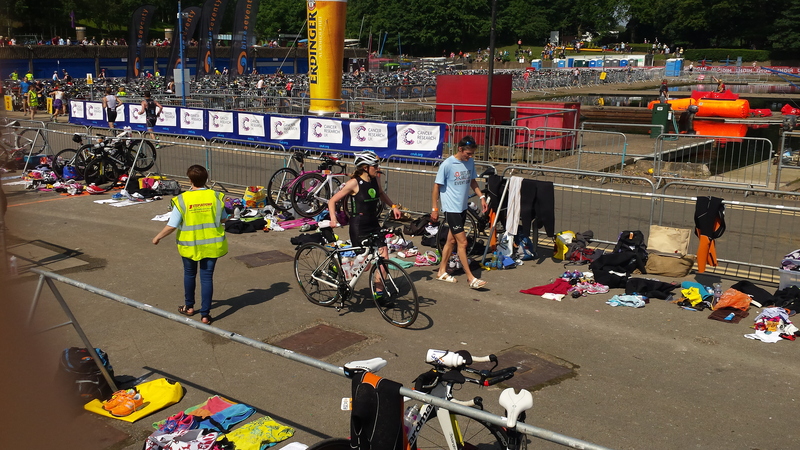 The run to transition was long and narrow – I had to run around a few older guys who were walking and then got held up again in transition when they were walking down the narrow aisles to get to their bikes. This was even worse when they did the same with their bikes in tow! However, once out, I hopped on and was ready for a great bike split. My cycling has improved loads over the last few months and today I was going to put it into practice. The first four or five miles climb steadily until we reached a hairpin section that was steep – I didn’t mind this, I quite like the odd hill and passed a few people. We rounded the top of the climb and began the descent towards Calvia. It was then the heat hit me – I was in a furnace. My face was on fire, my whole body was burning and I suddenly had cramp behind my left knee. I kept on eating, and drinking and pushing on, but people were passing me left, right and centre. Another climb out of Calvia on the out and back section we hadn’t done in the reccy, although I’d seen it, I was surprised how tough it was. Eventually we started to descend towards Palma Nova and Magaluf for some much needed cheers from the Brits on holiday. There was a long drag from there up to Santa Ponsa followed by a real killer of a bike path to take us back into Paguera to then start the lap again. I got my head down, kept eating and drinking but despite my best efforts, I seemed to be slowing. It appears from the results I wasn’t the only one and on the second lap there was a lot more chat between everyone encouraging each other up the hills. I came in from the bike 10 minutes slower than Outlaw, even though I felt I’d cycled harder and stronger – just goes to show how different routes can be. Transition was a long affair again. I had to run 200m with my bike – take my shoes off, carry them all the way to the far end of transition and then run all the way back up again, find my run bag, get my shoes, cap and suncream on and then get moving. Surprisingly the start of the run, my legs didn’t feel too bad – the cramp had gone, I felt hydrated and fueled up – but being off the bike, there was no longer a breeze protecting me. Across the Torra beach promenade the heat hit again. I kept on moving until I hit the first aid station after about 2km. Sponges down my top and a bottle of water and I pushed on. Back up to the main drag and we had a long out and back section – it was a long, long drag up to the top of a hill and back down again. I managed to run to the top and felt quite good on the way down. There was another loopback to do up another hill to an aid station and at this point I decided I needed to go to the loo – with all the hydration I was desperate so took the opportunity when it arose – trisuits are not the easiest thing to take off at the best of times, but when you’re tired and hot and in a hurry in a confined portaloo it’s not easy. I don’t think I ever quite recovered from that stop as from that point onwards I fell into a run/walk routine. I could walk the hills and the aid stations butIi had to run the flats and down the hills. It seemed to work and I kept going. My worst ever half marathon but in 34 degree heat – it was by no means the slowest half of the day. 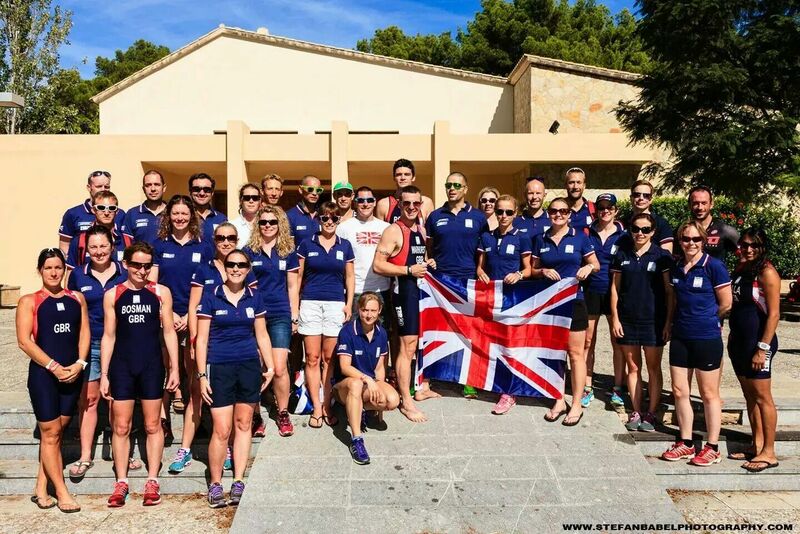 The support on the course was fantastic, with so many GB Age Groupers competing there was a real camaraderie going on out there along with all the supporters. It did make walking difficult, especially when you’re representing your country, but in the name of self preservation, it had to be done at points – and at some points my waking was fast than my running/shuffle. The finish area was fantastic, lined with hundreds of people all cheering. I was given a Union flag and for the first time I cross the line with a bit of a smile, not playing with my watch – the time didn’t matter. 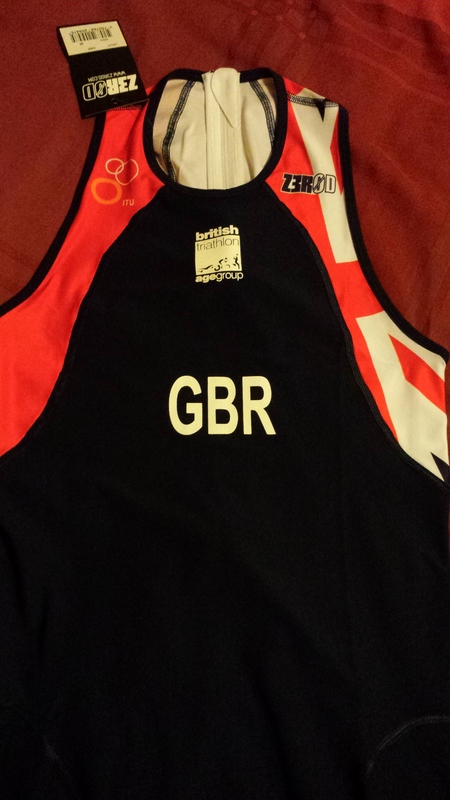 I’d just come 19th in my age group at the European Champs – not a bad end to the season really…. Talking to other team members that day and since then we’d all had a similar experience. Tough bike followed by a hot and hilly run. Would I do that one again – hell yeah? It was a great experience and Paguera and the surrounding countryside was beautiful – just a tad cooler next time please! Sorry, no posts since early June, but it’s been a bit of a whirlwind few weeks. 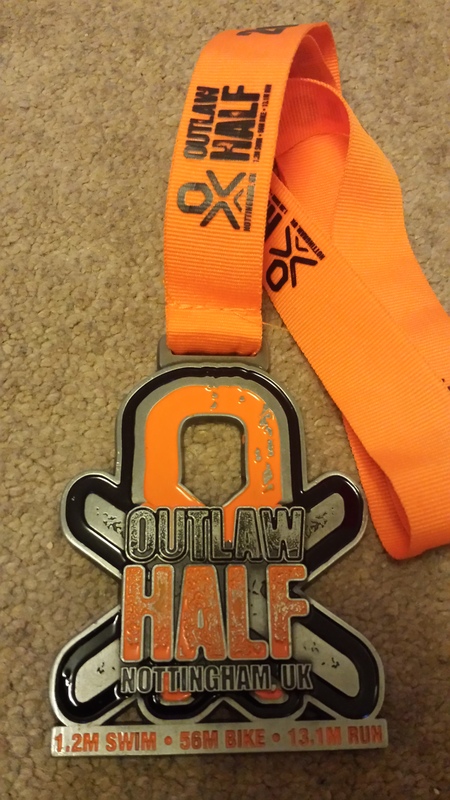 Following the Outlaw Half I didn’t really do much, then I remembered that I’d got a late entry to Dambuster on 21st June (booked in just before I injured myself at the MK Half!) so then spent a week trying to get my legs to remember how to move a bit faster than they had done for the past few months. 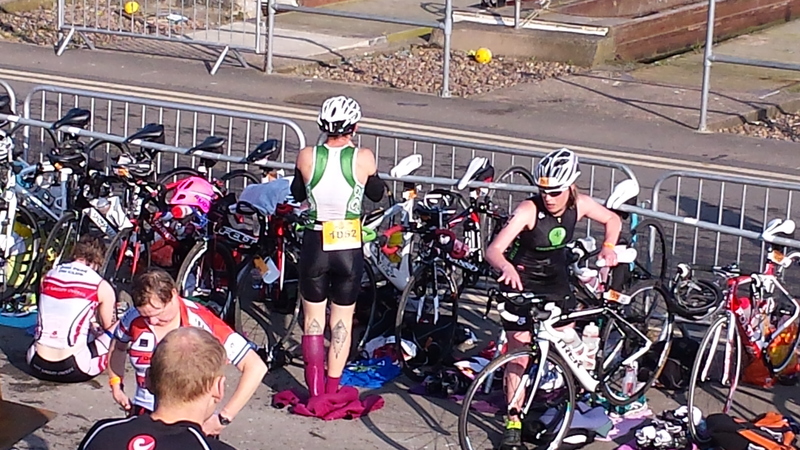 Following a 3:30am alarm call I made the journey to Rutland Water, a truly beautiful location for a triathlon. I hadn’t quite appreciated what a big event it was – there were a lot of people there, two transition areas, the women and older men in a field behind the main transition and numerous waves – and immediately worried I may be out of my depth! As it turns out, it wasn’t too bad – I had a good swim, albeit slighlty longer due to following some feet down the final stretch of someone who was aiming for the wrong buoy! My bike was ok – spend most of it with people passing me, as usual, but it was a tough route and I rode strongly for me – whipped past a load of people on the hill at Ketton and then actually had a great run – I was only passed by a couple of people and I passed loads! My overall time wasn’t far off my Olympic pb so considering the long transition and long bike route I was pretty pleased with myself! 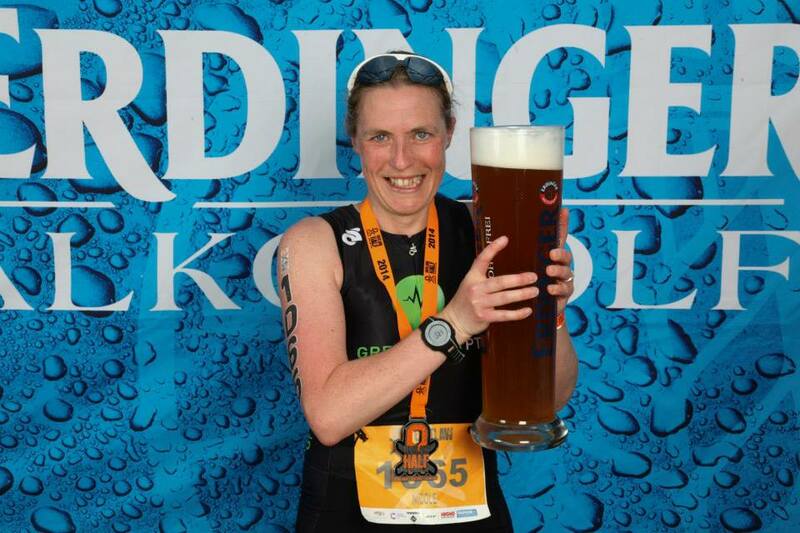 Anyway to cut to the point of the post – I did qualify – for the ITU World Champs in Edmonton, Canada in September! A combination of people ahead of me either having already qualified or not put themselves forward for selection meant I rolled in at the fourth qualifying spot! Following the official notification we spend a frantic couple of days to see if the logistics were possible – further complicated by a second notification a few days later to notify me I had also qualified for the ETU Middle Distance Champs in Mallorca in October as a result of my time at Outlaw. So, as you can imagine it was a complete whirlwind of a month – I am so chuffed, but under no illusion, the Canada spot is good fortune due to the location of the event meaning it’s probably not as difficult to get in as if it were to be held in London – but regardless, I will be going (family holiday!) 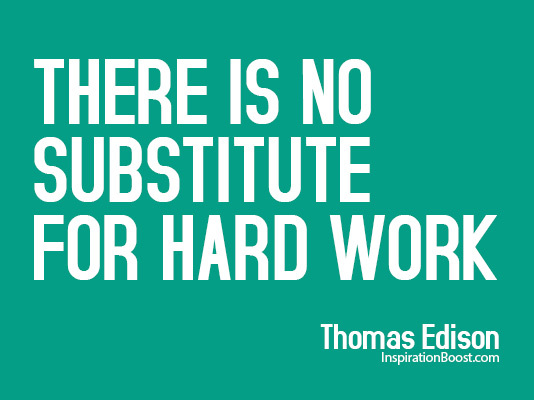 and will be proud to be part of the team and do my best. We’re all booked up and looking forward to it. Mallorca is also on – just some finer details to sort out with the flights – and this is my main ‘A’ race. Canada is a welcome distraction en-route to this and I will be working towards that as an ‘A’ race too but I know the main goal is the half. I came away from Outlaw really pleased with what I’d achieved, but knowing there’s more in there so I now have an opportunity to give it a go. 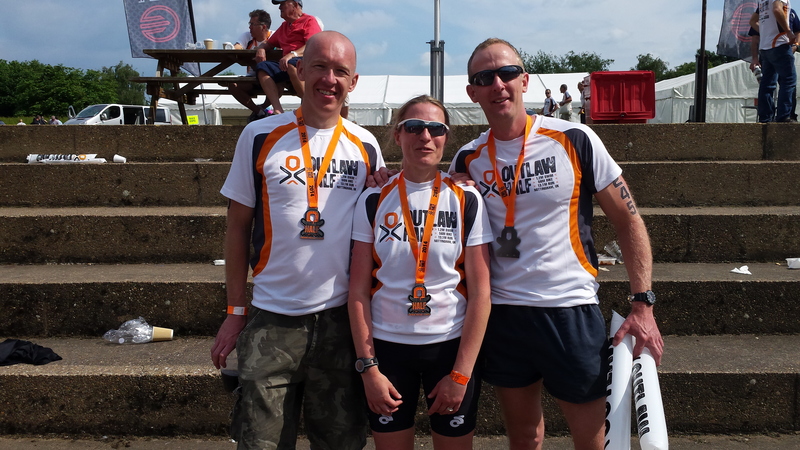 Knowing how well my 70.3 plan worked for Outlaw (and by default Dambuster) I have enlisted GreenlightPT‘s help again to train for this and have a plan to follow – it starts tomorrow…with a rest day! Today is week 1, day 1 of my training programme that will take me to the start line of the Outlaw Half in Nottingham on 1st June. It will be my first half ironman triathlon (and possibly my last) and is a step beyond anything I’ve ever done before. 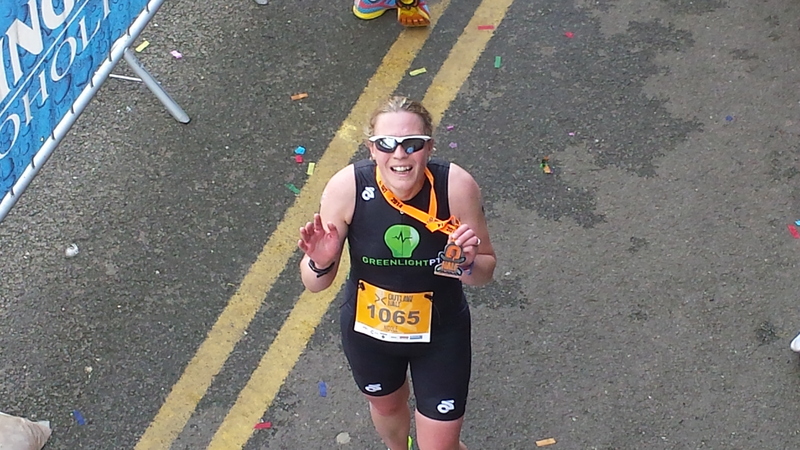 I’m armed with my GreenlightPT personalised programme and on the surface doesn’t look too daunting – nothing beyond anything I’ve done before apart from some core sessions and much more regularity on the bike – I must be the only triathlete who can get through a season with less than 500 miles in training on the bike! That has now changed though – I’ve got a good 25-50 mile ride in most weekends since October so am ready for the long rides in the programme – not sure how the usual cafe stop will be factored in though, but I’m sure if there’s a will there’s a way. There’s less running that I would normally do, but with my knee still dodgy that’s no bad thing and I’ve proved over the past year swimming and biking are enough to keep the running ticking over. The first session on the plan was a turbo session and is one I normally attend anyway so no big changes to the current set up. Towards the end of the week it’s a little different though. I need to get some run intervals done which I haven’t done for a while because of my knee injury and I also need to get in a swim on Friday. I don’t mind swimming in the evening (my local pool has 9-10pm lanes) but with a big ride most Saturdays I’m going to try to get the session done in the morning at 6am then go straight to work. Not sure how this will work with the family as husband and four year old will need to get themselves up in the morning but we’re going to give it a go. It will then give me time to do an easy recovery run straight after work.